Still in need of assistance? E-mail us! We are part of a network that is passionate about games and gaming! Everyone in our small family of gamers lives and breathes the gaming universe, and several of us have been involved from the start, all the way back to the Commodore 64. We have a total of more than 50 years of experience in the games industry, and have worn out controllers and mice on almost all platforms and consoles. We offer digital distribution of product keys (CD Keys) for PC and a select few consoles, in a format where everyone can play along. Stop worrying about physical products and delivery delays. Everything is delivered instantly and digitally, within minutes of your order being completed. We provide digital console and PC games for you 24/7 365, quickly and professionally. We have the latest games and lots of special offers, so fear not! We are here to satisfy your digital hunger. Do we sell physical products? No, we only focus on digital products. But that only makes it all much easier for you! And, hey, there's no waiting around for the mail man! Can I buy games for consoles, such as the PS4 and Xbox One? We have a very limited selection of Xbox One titles, and continue to work on adding PS4 products to our selection. Absolutely! We are an official distributor for several of the different publishers, and get our products directly from them. So, you can shop calmly and safely, knowing that your product is legally acquired. We have support on all weekdays, weekends and holidays. We answer all e-mails within a short time; however, there may be up to 24 hours of waiting during busy periods. Do you need a subscription to become a member? No, not at all! It's absolutely free to create an account at Playgames. Can I give my product code to a friend? Yes! The product is not tied to you in any way. You receive a product key - also called a CD key - from us, and it’s up to you how you use it. Is there an expiration date on the products? No. It is completely up to you whether you want to activate your code right away, give it as a gift for Christmas, or bury it in a time capsule to be opened 25 years from now. At Playgames, it is possible to buy a wide variety of games, spread over several different providers (platforms). Steam keys purchased from Playgames must be redeemed on Steam. Steam is a gaming platform developed by the company Valve, which allows you to buy or activate games in their own business while still keeping track of them in a kind of library. On Steam, you can find games from both Valve itself, as well as countless other developers. Steam gives you the option to play with others, and provides an overlay that enables you to talk with your friends right in the game. Uplay games purchased from Playgames are redeemed on Ubisoft's game license activation portal, and downloaded via Uplay. Uplay is a gaming platform from Ubisoft, which allows you to buy and activate games, while keeping track of them in a kind of library. In Uplay you can find games from both Ubisoft itself, as well as a few other developers. Uplay gives you the opportunity to play with others, and enables you to talk with your friends without interrupting your game. In most of the other game stores, your games will be delivered by mail, where you run the risk of delays, or perhaps even that the shipment is lost. In recent years, it has become more popular to purchase games digitally, but there is a problem: they are often more expensive than physical editions. We think that's unacceptable, so here at Playgames we deliver your product to your email inbox within minutes, at a price that can’t be beat. Our AutoKey system sends the key to you directly after the order has been confirmed. In short: NO waiting, and great prices! But how does it work? Once you have filled your shopping cart to the brim with all the coolest games, continue to the checkout. After entering your information and authorizing the payment, our AutoKey system will register your order. It is then only a matter of seconds before you receive your new game in your inbox. It could not be any easier! We use yourpay.io as a safe payment gateway, when you pay by card. The amount owed will not be withdrawn until the product has been sent from us, and not until the entirety of the order has been delivered. We are unable to withdraw a larger amount than you approved during the course of your purchase. All prices include 20% VAT, if nothing else is mentioned. Prices are subject to increases, currency exchange values, force majeure, tax changes and items being sold out. When you purchase a product key at Playgames, Playgames has delivered digital content to you, according to the definition found in §18, section 2, pt. 13 of the Danish Consumer Contracts Act: "delivery of digital content, not delivered on a physical medium, if the completion was pre-empted by the prior express consent of the consumer, that they surrender their right to cancellation" Once you accept terms and conditions, you therefore consent to the fact that Playgames cannot provide any right of cancellation or refund policy after the order has been completed. Your product key will always be sent to you by e-mail. If you don't see it in your inbox, it's possiblet that your spam filter has filtered it. 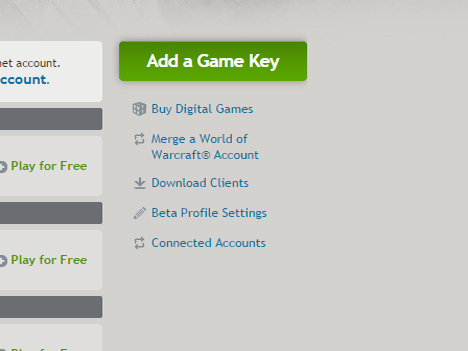 Your product keys can also always be found under your account on Playgames, under the "My product keys" tab. My product key doesn't work? Always ensure that you're trying to redeem the key on the correct software platform. You can see which platform the game is meant to redeemed on in your order confirmation. Otherwise, shoot us an e-mail. We'd love to help you! How do I redeem my game on Steam? Go to store.steampowered.com/ and click "Install Steam"
Once logged in, click on "Add a Game…" in the lower left hand corner (or use the tab "Games" in the main menu). Select "Activate a game on Steam"
A window will then ask you to accept the "Steam subscriber agreement", press "Accept". A window will then ask you to enter your license key (product key). Steam then accepts the key, after a few minutes and the game is now visible below the list of your games. If you need to reinstall the game, or if you want to download and play the game on another machine, make sure you always use the same Steam account. How do I redeem my game on Origin? When the program has been installed and is running, log in with your user name and password. Create an Origin account if you do not already have one. Once you're logged in, click on the "Origin" tab in the top left. Choose "Redeem Product Code" on the menu. A window will appear, asking for your product key. Origin will accept and redeem your product code after a few seconds, and the game will appear in your game library. Please note that DLC and expansion packs can be found under the DLC's base game. Click on the game and choose "Details". In the bottom of this menu, you will find a tab titled "Extra Content". If you need to reinstall the game, or install the game on another computer, make sure you use the same Origin account that you originally redeemed the game on. How do I redeem my game on Uplay? 1. Click the link above for your Ubisoft game license activation portal. 2. Find "Activate your products" and log in with your Uplay / Ubisoft account. If you do not have a Uplay / Ubisoft account, follow the onscreen instructions to create one. 3. Once your license code has been redeemed, the game is automatically added and linked to your Uplay / Ubisoft account. 4. Download and install Uplay here by selecting "Download Uplay for PC". This will download a program to install Uplay on your computer. Run this program and follow its instructions to install Uplay. 5. Start Uplay, select "Games", find your game in the list and select "Download". 6. Once the game is finished downloading, you are ready to play! If you need to reinstall the game, or if you want to download and play the game on another machine, make sure you always use the same Uplay account. 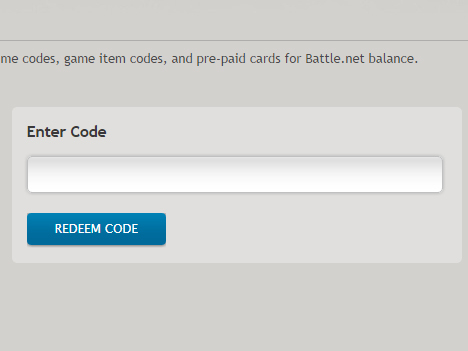 How do I redeem my game on Blizzard Battle.Net? Log in with your user name and password. Create a Blizzard account if you do not already have one. Once logged in, click on the "Account" tab in the right corner. Click on "Add a game". A window will appear asking you for your license key (product key). Blizzard Battle.Net will accept and redeem your product key, and the game will appear on your list of games. If you need to reinstall the game, or if you want to download and play the game on another machine, make sure you always use the same Blizzard account. How do I redeem my Grand Theft Auto V game? You will be asked to log into your Rockstar Games Social Club account. If you do not already have an account, it can be quickly and easily created. Note that Rockstar Games requires a minimum age of 18 years old to create an account, and that account is required to activate your product key. Click on "Use Rockstar Code" and then enter your product key. Then click "Activate". Click "Confirm" to confirm that you want to activate Grand Theft Auto V for PC. Finally, click "Download for Windows" to download the installer for Grand Theft Auto V for PC. Follow the installer instructions to complete the game installation. If you need to reinstall the game, or if you want to download and play the game on another machine, make sure you always use the same Rockstar Social Club account. How do I redeem Guild Wars 2? 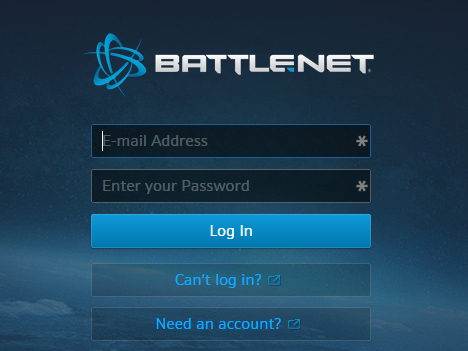 Go to account.arena.net/register and log in, or create a new account using your product key. Then follow the on-screen instructions. How do I redeem The Elder Scrolls Online? Create or log in to an existing Elder Scrolls Onlne account here. On your account page, select "Redeem Code" at the bottom of the menu to the left. Enter your product key in the text field. After your product key has been redeemed, you can find the game on your account page. 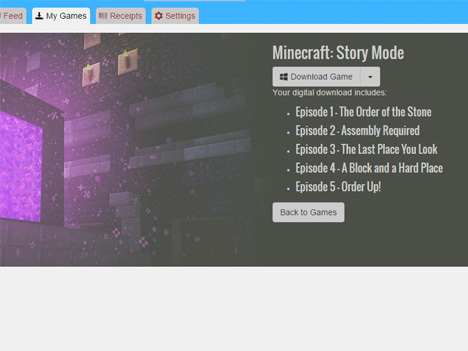 Here, click on the "Download Game" button under the game to begin downloading and installing it. How do I redeem The Witcher 3 (and other GOG.com product keys)? Go to gog.com/redeem og log in, or create a new account with your product key. Then follow the on-screen directions. How do I redeem my Telltale Games game? 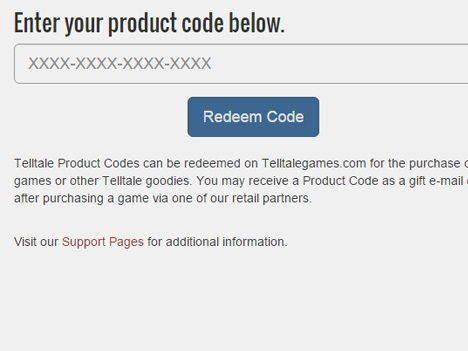 Go to telltalegames.com/redeem and enter your product key. Then click on ”Redeem Code”. Once your product key has been redeemed, you can find your new game under "My Games", where you are presented with the option of downloading the game. How do I redeem my Xbox One product key? Go to xbox.com and login with your Xbox 360/Xbox One account. Then click on "Redeem code". Enter the product key that you received from us. On your Xbox: Go to the "Store" tab in the top bar. At the bottom of the Store window, next to the "Memberships" button, you'll find the key "Redeem a code". Can I install my game on another computer? Yep! As long as you log into the same account on the relevant software platform (Steam, Origin, Uplay, etc.) your games will be available on that device. Can the game run on my PC? You can often find the game's system requirements on the product page. You can then compare and evaluate whether you are able to run it or not. Another possibility is to use http://www.systemrequirementslab.com/ From here you can select the game from the list and press "can I run it?". Since every computer is made up of different parts, it may be difficult for us to help. A typical problem may be that the drivers for the graphics card must be updated either via nVidia or AMD websites. There is also a wide range of other possible reasons, and we therefore recommend that you contact the game's manufacturers directly to solve the problem. I deleted my game. How do I download it again? Your game will always be available on the platform you bought it for. Simply log in to the software platform where you activated your game. There are usually no restrictions on how many times you can download your games. Manual updates are thankfully a thing of the past. Pretty much every platform keeps the games automatically updated. You will receive an answer within 3 work days, but usually significantly faster.